Explore this stunning quality of God’s grace: It never ends! In this revision of a foundational work, John Piper reveals how grace is not only God’s undeserved gift to us in the past, but also God’s power to make good happen for us today, tomorrow, and forever. 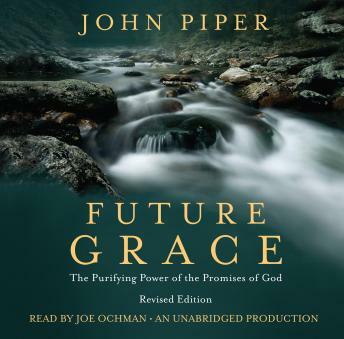 In Future Grace, chapter by chapter—one for each day of the month—Piper reveals how cherishing the promises of God helps break the power of persistent sin issues like anxiety, despondency, greed, lust, bitterness, impatience, pride, misplaced shame, and more.